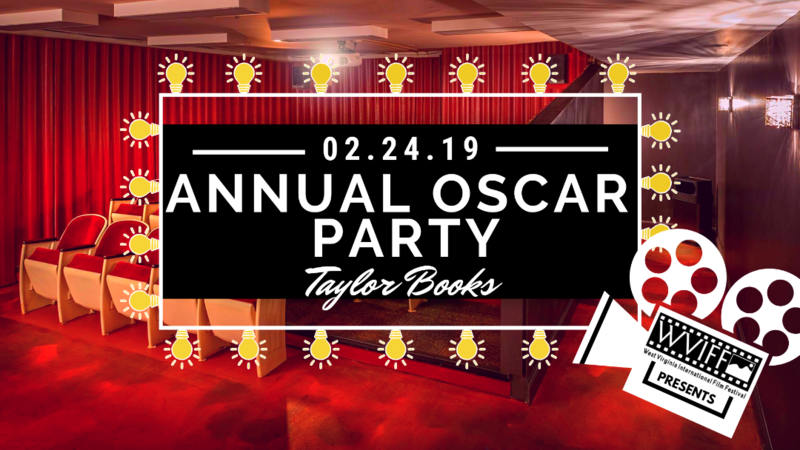 Join us for our annual fundraiser, A Night at the Oscars, on February 24, 2019. Enjoy a fun-filled event that benefits the WV International Film Festival and celebrates the movies. The evening includes heavy hors d’oeuvres, cash bar, film themed games, door prizes, and the opportunity to watch Hollywood’s biggest night on the big screen. Producer, Benefactor and Director’s Circle members attend for free.